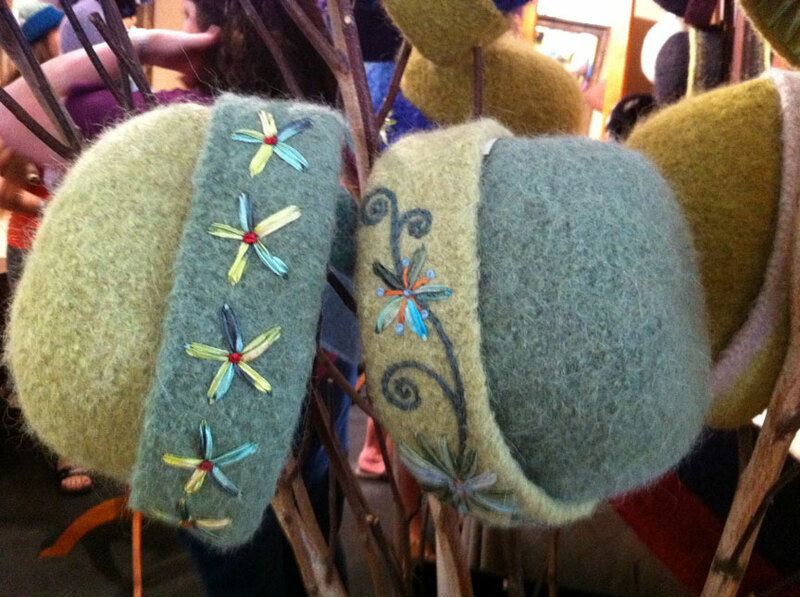 When my brother and I went to the League of New Hampshire Craftsmen’s Fair in Sunapee last August, I fell in love with the felted hats made by Carrie Cahill Mulligan. 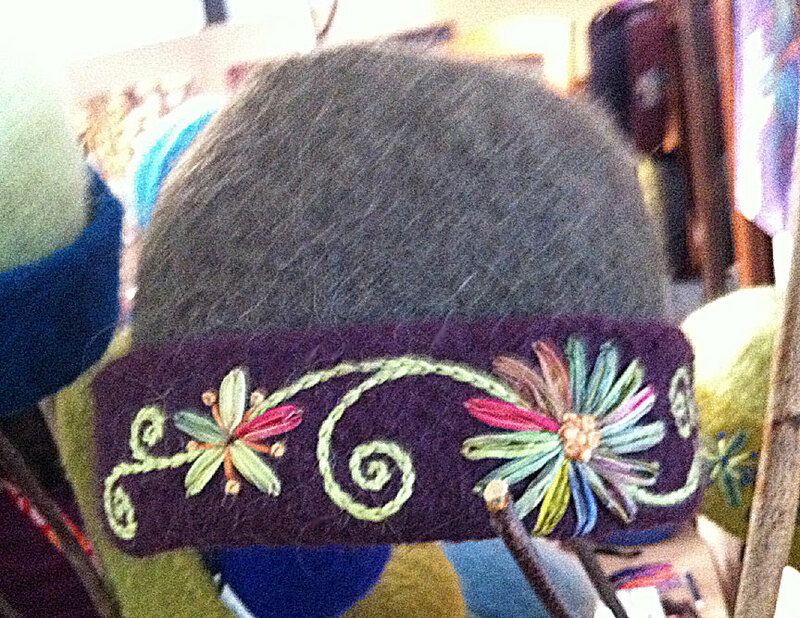 So I bought myself a belated birthday present last November: A Felted Pillbox Hat pattern and yarn kit from Carrie Cahill Mulligan. I had other knitting to do and kept putting off the hat knitting. 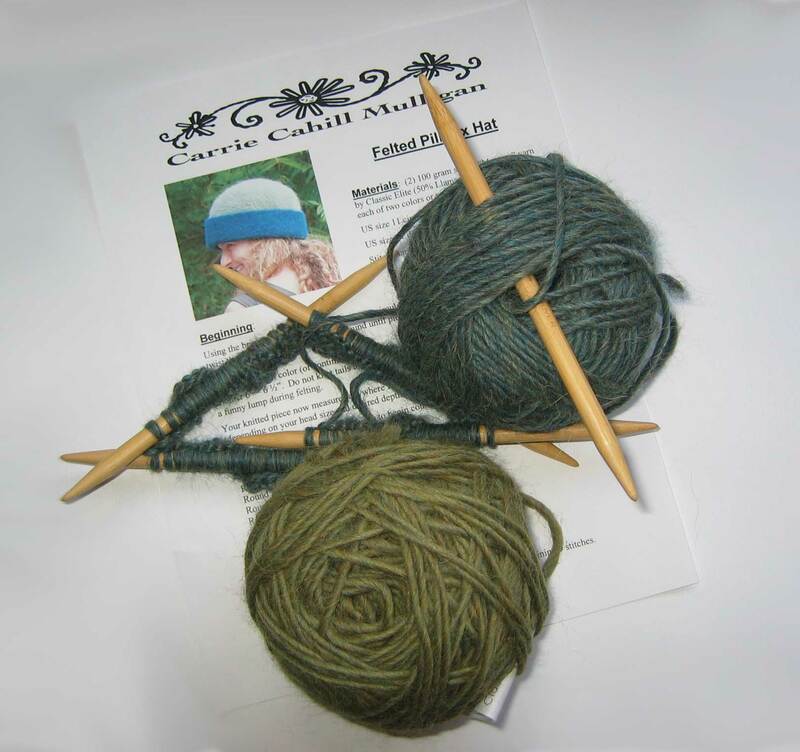 Nothing like waiting until Spring to knit a wool hat. But considering we didn’t really have a winter here, I’m still enjoying this quick knit. The colors I’m using are Bronzed Metal (bluish) and Sycamore (greenish). The kit came with two skeins of Classic Elite Montera yarn in my choice of color, the pattern and coordinating satin ribbon to sew on inside the brim for comfort and stability. This is the first time using this llama and wool blend and it is heavenly. I usually start out on double point needles as I find it easier to keep my stitches from twisting for the first 2-3 rounds then I switch to circular needles. As of right now I am almost half way done. The blue Bronzed Metal is almost used up and I have about 4-5 rows done with the green Sycamore. If I would have remembered to bring my knitting bag home with me today, I’d be working on it now and have a better photo of my progress. Those are beautiful hats. Can’t wait to see the finished product!